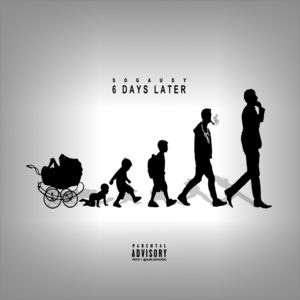 Sin City rapper So Gaudy returns to kick off the Fall season with yet another project this year, 6 Days Later. The project is a smoked out and slightly leaned out effort that slaps listeners from the gate with intricate production from producer/engineer extraordinaire, Cream. After performing at SXSW for VirdiKo's Bankroll Fresh tribute and since releasing two projects earlier this year (So So's Way, Keys & Trees), So Gaudy has been on a feverish push with fresh content. "We've just been trying to stay consistent with the video releases. I think we did a video for almost every song on the last few projects" So Gaudy explained. "This project is a response to some of the people that have tried to ride the wave of my success over the past few years.I cut a lot of people off, I'm more focused, I'm dedicated to the craft and I've been stacking my bread with these past few releases." So Gaudy's past few visuals ended up on TheSource.com, ItsBizkit, WeTheWest and others, as Gaudy shot a video for every song on each project via his YouTube channel. Until visuals for this project begin rolling out fans can enjoy this 10 song effort available via DatPiff.